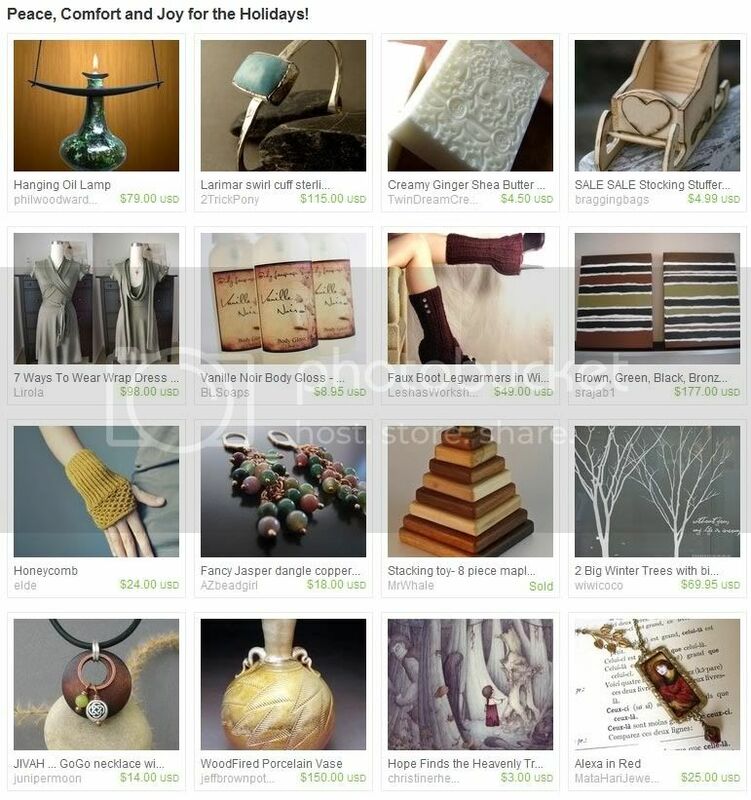 An Etsy Treasury curated by Gilliauna ~ Peace, Comfort and Joy for the Holidays! Credits go to: 2TrickPony, AZbeadgirl, BLSoaps, braggingbags, christinerheeart, elde, jeffbrownpottery, junipermoon, LeshasWorkshop, Lirola, MataHariJewelry, MrWhale, philwoodwardart, srajab1, TwinDreamCreations and wiwicoco. Today I'm very excited to introduce you to a shop that I've been waiting to feature all year long! That's right, all year. Because today's shop is only open around the holidays, and so if you like their products, you'd better scoop them up while you can! Luminita on Etsy is a shop that sells some of the most gorgeous hand-blown glass items I've ever seen... on Etsy or off of Etsy, for that matter. And they sell so quickly around the holiday season that the artist posts new pieces and sells them sometimes within days... or even hours! 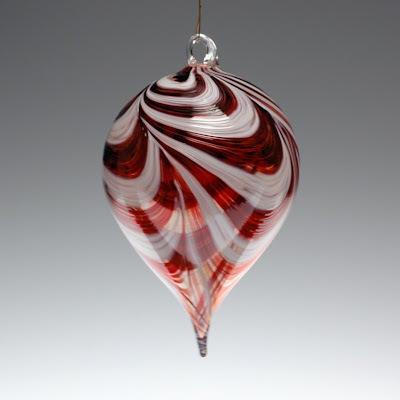 Located in Corning, NY this shop currently carries a small selection of beautiful hand-blown glass ornaments that are beautiful and graceful all at the same time. The artist also has created a couple of absolutely exquisite bowls and some hand-blown glass houses as well. Everything I've seen in this shop is breathtaking. Sometimes there are beads and jewelry included as well! If you're looking for something truly unique and made with breathtaking quality and attention to detail, Luminita Studios is a shop that you won't want to miss stopping by and taking a look at! TO VISIT LUMINITA'S STUDIO ON ETSY, YOU CAN CLICK THE PICTURE ABOVE OR, IF YOU'D RATHER, CLICK RIGHT HERE! Today I would like to introduce you to a jewelry shop with some of the most interesting jewelry designs I've seen in a long time! In fact, I've sat and looked at many of their pieces and wondered time and again... how does she -do- that?? PaperDemonJewelry on Etsy is the shop I'm talking about, and the artist behind the entire collection of beautiful jewelry pieces is Karen! Karen creates what she refers to as "organic origami", which is to say she creates one of a kind jewelry from Japanese paper and fabric! Karen says that Paper Demon Jewelry is about thinking big and bold, and being everything you dream. Her pieces of jewelry are made using Japanese washi and chiyogami papers and chirimen and shibori fabric to create innovative modern accessories with Japanese style that glows with color while still managing to have a natural warmth to it that distinguishes it as handmade with care. All pieces are then treated with a proprietary (that means unique to her alone!) process to create a hard, shiny and waterproof yet still durable finish. 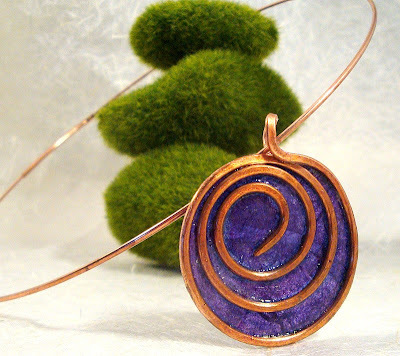 Karen also has a "Paper Earth" line of earth-friendly jewelry from recycled and salvaged materials that has the same color and style as her other pieces but has been created with zero carbon footprint! 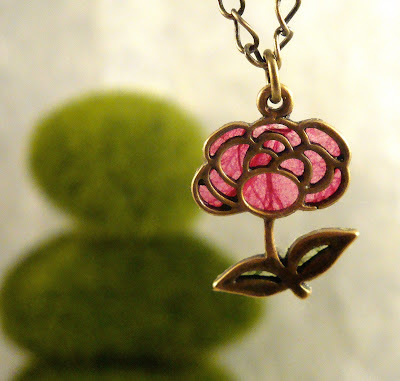 PaperDemonJewelry is a gorgeous shop filled with beautiful and innovative jewelry that's bold in both style and color. Be sure to stop by and take a look! I'm especially fond of the pieces scattered within that look like stained glass but there are so many styles to choose from that you're sure to fall in love with your own choices as well! YOU CAN CLICK ON THE PICTURES ABOVE TO VISIT PAPERDEMONJEWELRY ON ETSY AND TAKE A LOOK AROUND OR, IF YOU PREFER, YOU CAN CLICK RIGHT HERE! You might also enjoy visiting the PaperDemonJewelry blog or stopping by to visit with Karen on Facebook or Twitter! Mondays, over time, have become team feature days on this blog and today's no different! 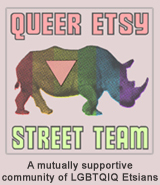 Today's feature is a member of a team I belong to called the Boosting Etsy Shops Team where sellers all work to help each other out on marketing and promotion of their shops. MyaBruceDesigns on Etsy is a wonderful little shop where the artist spends her time designing customized photo invitations and announcements! This started with designing these wonderful pieces for her own family and has now developed into a budding business on Etsy. MyaBruceDesigns loves working with photos and is happy to take photos of your loved ones that you send in and create beautiful, cheerful and fun announcements and invitations for special occasions and more. How this works is very simple and easy too! 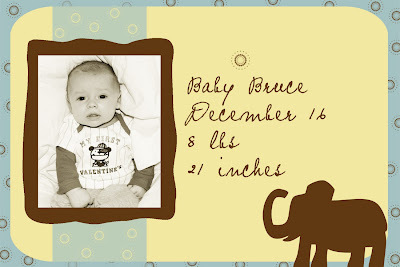 You send your photo to MyaBruceDesigns along with the information you want included. Colors and fonts on many of the designs offered in their shop can often be changed or adjusted if you have a preference. The images themselves can also be adjusted to create an invitation, an announcement, a thank you note or even just note cards or stationery! You then receive an image for review to make sure everything is just the way you want it, and once approved you can purchase and download and print them out yourself to create as many as you need! The shop has a handful of very cute designs, and they also are happy to take custom orders if you have a photo you need altered in some way that you want to use for something different such as mugs, T-shirts, photo boxes, etc. TO VISIT MYABRUCEDESIGNS' SHOP ON ETSY, YOU CAN CLICK THE PICTURE ABOVE OR, IF YOU'D RATHER, CLICK RIGHT HERE! You can also visit MyaBruceDesigns on Facebook!